James Bond Island is a famous landmark in Phang Nga Bay. 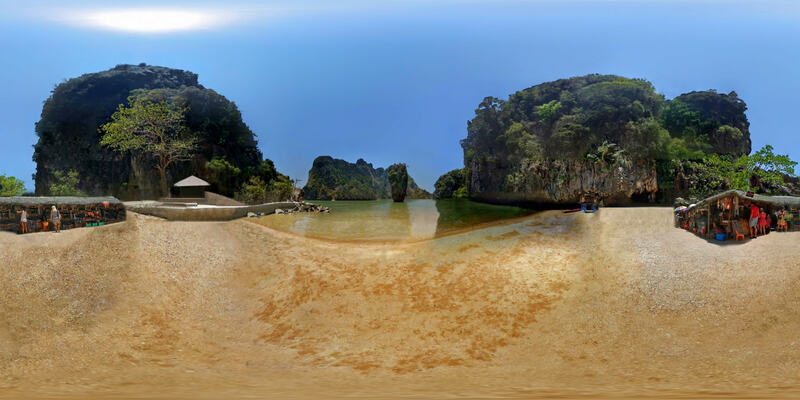 Once a quiet island known as Khao Phing Kan, It found its way onto the international tourist map through its starring role in the James Bond movie ‘The Man with the Golden Gun’. A distinctive feature of this famous bay is the number of sheer limestone cliffs that vertically jut out of the emerald-green water. We rented a long-tail boat for less than 2,000 baht for a good three to four hours. The boat can carry up to ten people, but we had it all to ourselves. We thought we were going straight to the island, but our guide suddenly steered toward a cliff wall and as we got closer we could see a small opening. I didn’t think the boat would even fit, but we kept going and we slowly cruised through this small hole in the cliff to reveal a huge cave inside. It turned out to be a batcave, not what I expected at all. It did have quite a pile of guano and a strong smell of ammonia to go with it. We hung out for about 15 minutes before we carried on our way. The entire area surrounding this island is indeed spectacular, but it can get crowded with tourist boats in high season. The small beach where we landed was full with people and that’s before we walk around to the otherside of the island where you can see James Bond Island. We even had to queue numerous times on the pathway just to use the steps on our way to the view point and James Bond beach itself. It is under national park protection and as a result no boats of any kind are allowed to go too close. The two best ways to view James Bond Island are from boats or from the small beach on Khao Phing Kan. On its crowded eastern beach, there are stalls and stands selling knickknack souvenirs, mostly made from shells and woods. Phang Nga Bay covers an area of 400 sq km and is home to some 100 islands many of which could feature in The Guinness Book of Records either for their beauty or for their freakish shapes. It has been a major attraction ever since it featured in the 1974 Bond movie. The two best ways to view James Bond Island are from boats or from the small beach on Khao Phing Kan.
Be sure to bring sunscreen, plenty of water, and a sun hat. 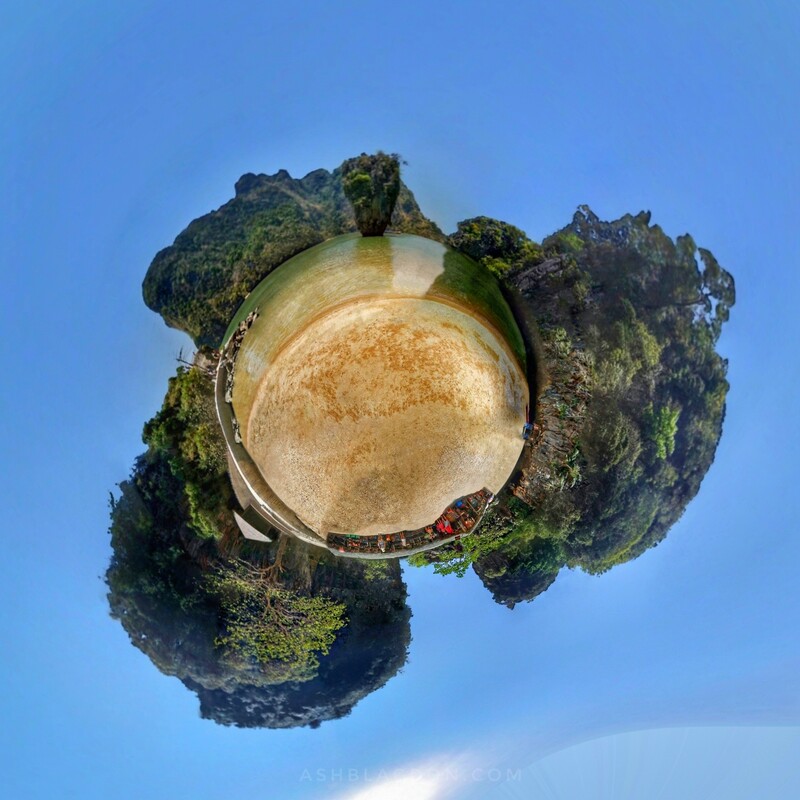 Have you been to James Bond Island?